Details of this important story can be found here. Thanks to Human Law for recommending this blog by US attorney, Melissa Lafsky. She started the blog anonymously in March 2005. It quickly received media recognition and became extremely popular, getting up to ten thousand hits per day. At the end of 2005 she resigned from her job "in order to avoid scandal and prevent any potential embarrassment to my coworkers" and is now working on a novel based on the blog. I, too, would like to recommend Opinionistas. As it's title suggests, the blog comprises the personal opinions of it's author based upon her "various experiences as a law firm paralegal, summer associate and junior attorney". It is extremely well written, containing many insights into the US legal profession. Since leaving her job Ms Lafsky has also given her views upon such subjects as prenuptial agreements and women in law firms. 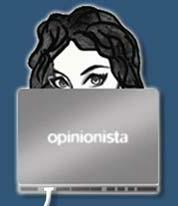 Opinionistas can now be found in my other legal blog links to the right. Since I stopped doing legal aid work I have not had many domestic violence injunctions but in future when I am consulted by someone suffering domestic violence then I may well recommend that they read Women's Aid's 'Survivor's Handbook'. The Handbook can be found on the Women's Aid website here. It contains excellent practical help on dealing with domestic violence, from housing to legal advice to health issues. As mentioned above, I do very few non-legal aid domestic violence injunctions. This suggests that there may be many people out there who are having to suffer continued violence and abuse simply because they can't afford to get help. Hopefully, the Handbook will at least provide some assistance to such people. So, you merrily issue your Form A after the 3rd April 2006 thinking that the new costs rules apply (mentioned in my previous post here), then you are surprised to receive a Calderbank letter from the other side. Before you write back to smugly tell your opposite number that Calderbank letters have been abolished, check whether either party filed a pre-3rd April petition or answer containing a prayer for ancillary relief. If so, the old costs rules will still apply. For details, see Rule 10 of the Family Proceedings (Amendment) Rules 2006. 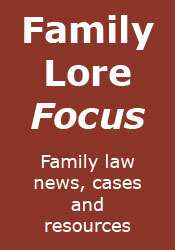 On the 16th March the House of Lords debated the recent increase in family court fees. Liberal Democrat Shadow Lord Chancellor Lord Goodhart tabled a resolution "that this House regrets the Government's decision to restrict access to justice through the Family Proceedings Fees (Amendment No. 2) Order 2005 (S.I. 2005/3443) and the Magistrates' Courts Fees Order 2005 (S.I. 2005/3444)", calling these orders "a significant part of a major threat to access to justice". He said that "these increases are driven by the insistence that the costs of courts should be borne entirely by litigants...a relatively new concept" which had been exacerbated by the fact that since 1992 judicial salaries and pensions had been paid from court fees. He accepted that the increase in court fees did not affect the very poorest, who could get legal aid, but said that it is "almost impossible for anyone who is in regular work to qualify for legal aid or for exemption or remission from court fees", resulting in the fees now forming "a real deterrent for those who are on below-average incomes or, indeed, on average incomes or somewhat above them". I couldn't agree more. The full House of Lords debate can be read here. Anyone who has visited this blog previously will know of my feelings towards legal aid. The latest in a long list of reasons why solicitors should not do legal aid work has been reported in the Times Online, and elsewhere. It seems that the Legal Services Commission (the body that runs legal aid) in it's infinite wisdom has decided it would be a good idea to try to recoup legal aid payments made to law firms up to thirty years (or more) ago because those payments should have been repaid from money recovered by the clients. Apparently, the Legal Services Commission has said that "solicitors are responsible for providing evidence that they have completed the work we have paid them for". The fact that many of the solicitors' files will have long since been destroyed seems to be irrelevant. So, it seems that solicitors can still be liable to have to repay the Legal Services Commission for many years after the work is completed, despite the failure of the Legal Services Commission (or whatever the body running legal aid then happened to be called) to pursue the matter at that time. Well, that's going to get firms flooding back to legal aid work. In a previous post 'Shared Parenting' I mentioned the fact that the courts are moving away from the assumption that shared parenting can only work where the parents remain on good terms. The recent case of C (A Child)  EWCA Civ 235 supports this. In that case, although the parents were "not in fact incapable of working together", this was not one of the factors listed by Lord Justice Thorpe when he decided that this was "a classic case for a shared residence order". That list included the fact that the child had a strong attachment to both parents, that the two homes were in close proximity and that the child had a clearly expressed perception that he had two homes, despite being only five years old. The new ancillary relief costs rules (see my previous post here) have now filtered down to the popular press, albeit in an article by District Judge Stephen Gold in the Law section of the Times Online. In the article District Judge Gold summarises the changes in the law, but he also makes an important point: that one party may feel pressurised into accepting an inadequate offer, fearing a substantial increase in their costs, which they will not be able to recover from the other party. It is often the case that one party in 'ancillary relief' (i.e. financial/property) proceedings will be in a considerably weaker financial position than the other party. For that party, finding money to pay costs will be far harder, and therefore refusing an offer from the other party will be far more difficult. The District Judge also points out the recent court fee increases (also mentioned by me previously here), and speculates (no doubt tongue in cheek) that these changes "might all encourage reconciliations". Somehow, I doubt that! No matter how much you read, interesting things 'slip under the radar'. Via a report on the BBC News website today, I have just become aware of the Corporate Alliance Against Domestic Violence. As their website states, the Alliance "is a group of progressive companies and organisations working individually and collectively to address the impact of domestic violence in the workplace". Their Mission is "to raise awareness and reduce the human and economic impact of domestic violence through taking action in the workplace". We all know about the human impact, but they state that the economic impact is that domestic violence costs UK business over £2.7 billion every year. How does this affect the victims of domestic violence? With the help of the Alliance, member organisations implement a programme whereby they offer support to employees who suffer domestic violence, the idea being that for many victims their place of work is actually a refuge from the violence. Managers are trained to provide that support and, if necessary, refer the victim to a domestic violence expert or counsellor. Any organisations interested in joining the Alliance can do so via their website. A report in The Sunday Times yesterday refers to some interesting research in Holland into the causes of marriage breakdown. The researchers interviewed 1700 people in Holland who have divorced since 1949 and found that the reasons given for marriage breakdown have changed quite dramatically in the last fifty years, shedding light on the huge increase in divorce rates over that period. It seems that reasons for divorce used to be in general far more serious than today, most commonly involving violence and adultery, whereas today emotional and psychological factors are much more important. The researchers speculate that in the past incompatible couples may have stayed together unless the marriage deteriorated into violence or adultery whereas today couples are likely to separate much sooner, hence the higher divorce rates. Should a man pay maintenance for a child he did not want? This is the question a US court is going to be asked to decide when it hears a case filed by the National Center for Men on behalf of a father who has been required to pay $500 a month child support, despite the fact that the mother knew he did not want to have a child with her. The father, Matt Dubay, claims that the mother assured him that she had a physical condition that prevented her from conceiving. Realistically, Mr Dubay does not expect the court to find in his favour. I'm sure he would get the same result in the English courts. An article in the Times Online from the 22nd February serves as another example to me of the modern reality of being a lawyer. The article delights in the fact that celebrity divorce lawyer Raymond Tooth lost a case against a former client who represented herself. The case concerned Mr Tooth's bill, which had been reduced by the court. Mr Tooth appealed against the reduction, and lost. He had been charging the client £400 an hour for his work, a figure which he would have given to the client at the outset of the case. Despite this, the judge said that the client clearly couldn't afford such a charging rate and therefore Mr Tooth shouldn't have taken her on. Accordingly, his charges were reduced. This seems odd to me. Surely, the client should decide whether they can afford the lawyer, rather than the lawyer decide that the client can't afford him? After all, if you buy a Rolls Royce you can't expect a price reduction simply because you can only afford a Skoda. One of the most difficult and frustrating situations a family lawyer can have to deal with is when their client faces losing their home due to the bankruptcy of the client's partner. A useful reminder of the problems involved was reported recently in the case of Donohoe v Ingram  EWHC 282 (Ch). In this case Ms Donohoe and her partner Mr Kirkup purchased a property together in 1996. The relationship broke down and Mr Kirkup moved out, leaving Ms Donohoe in the property with their four children. On the 21st March 2000 Mr Kirkup was made bankrupt and on the 7th May 2004 Mr Ingram was appointed as Mr Kirkup's trustee in bankruptcy. On the 7th June 2005 Mr Ingram applied to the court for an order that the property be sold so that Mr Kirkup's share could be used to pay his creditors. At a hearing on the 18th October 2005 an order for sale was duly made, and Ms Donohoe appealed, asking for the order for sale to be postponed until the youngest child attained the age of sixteen. Section 335A of the Insolvency Act 1986 specifically states that on any such application for an order for sale the court is to have regard to (inter alia) the needs of any children. However, it goes on to state that where (as here) one year has elapsed since the bankrupt's property vested in the trustee then "the court shall assume, unless the circumstances of the case are exceptional, that the interests of the bankrupt's creditors outweigh all other considerations". Ms Donohoe tried to get round this by claiming that the circumstances were exceptional because it was highly unlikely that postponement of payment of the debt would cause any great hardship to the creditors, relying on the decision in In Re Holliday  Ch 405. However, she failed in this submission, as the appeal judge, Mr Stuart Isaacs QC, distinguished this case from In Re Holliday, which in any event Mr Isaacs said "needs to be approached with a degree of caution". So, yet another depressing case of a family losing their home due to the bankruptcy of a long-gone partner. Naturally clients often find this hard to accept and understand. Perhaps the best explanation came from Lord Justice Nourse in the case of In Re Citro  Ch 142 when he said that "such circumstances, while engendering a natural sympathy in all who hear of them ... are the melancholy consequences of debt and improvidence with which every civilised society has been familiar". Another possible big money divorce case is in the news. This time the figures being mentioned suggest that it could be one of the biggest cases dealt with by our courts. It involves a claim by the wife of an Iraqi businessman, Shwan Al-Mulla, who is alleged to have a fortune of over £1 billion, according to inquiries made by The Sunday Times. If true, Mrs Al-Mulla's claim could be worth as much as £500 million. Mr Al-Mulla, however, denies that he is so wealthy, and states that it will be a "very average settlement". It seems that the lawyers involved might achieve a big payout, even if Mrs Al-Mulla fails to! I have just come across an article at icNewcastle that discusses the complexities and cost of sorting out financial settlements on divorce. The main theme of the article is that many of these problems can often be avoided if the parties had entered into a pre-nuptial agreement. Such agreements are becoming a little more common in this country. However, as the article points out, they are not legally binding, although the courts certainly are now giving them more weight. In November 2004 the Law Reform Committee at Resolution recommended that the law be amended to make pre-nuptial agreements legally binding "unless to do so will cause significant injustice to either party or to any minor child of the family". For further details see here. Such a reform would certainly clarify the law, and may reduce the number of disputed cases. I believe the law in this area will be reformed at some point, but just when is not clear. Whether there will be a significant increase in the number of couples entering into pre-nuptial agreements, even after reform of the law, is another matter. After all, it's not very romantic to respond to a marriage proposal by saying: "Yes, of course I will marry you darling, provided you sign this first..."
I mentioned last week that I had received the second edition of the Family Law Protocol. I have since been looking through it, particularly the new sections. One such section relates to 'Child support issues', particularly the changes to the system that were implemented on the 3rd March 2003, after the first edition of the protocol was published. No problem with that, but then I came to paragraph 3.14.13: "Solicitors must be aware of the limitations of the [Child Support Agency] and the circumstances in which it will be unable to assist parents with care". Are they joking??? I've just come across an article in the Observer last Sunday. It refers to a study to be published in The Economic Journal that suggests that concerns over child support are making men think twice before leaving their wives. I remain to be convinced, and agree with David Burrows, who is quoted in the article as saying that he cannot think of a case he has dealt with where people chose not to get a divorce because of child support.